Long considered the birthplace of contemporary Native American easel painting, the Santa Fe Indian School has often been examined within the context of art patronage and the influence of Santa Fe’s unique, non-Native artistic and intellectual community. 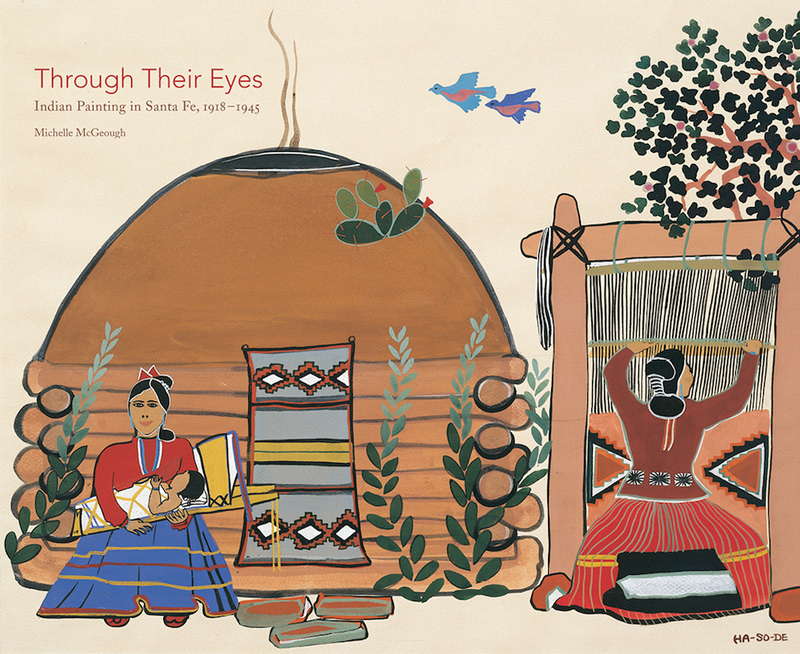 In Through Their Eyes, art historian and educator Michelle McGeough (Metis) reveals how paintings by the school’s young students reflect Native American thought and life during the years between the two world wars. Focusing on paintings from the Charlotte G. Mittler collection, the book features artists including Fred Kabotie, Velino Shije Herrera, Allan Houser, Andrew Tsihnahjinnie, Pablita Velarde, and Sybil Yazzie.